One of the realities of retirement is that healthcare costs loom large for more retirees. As a financial advisor, you understand the impact that healthcare costs and coverage can have on retirement planning for your clients who are eligible for Medicare. Even with Medicare coverage, healthcare expenses in retirement may be substantial. 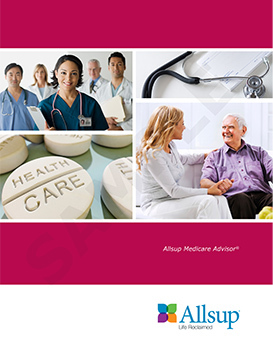 Other considerations include the complexities of which Medicare options are available and how those choices can impact your clients' health and budget. But, most seniors will not regularly review their Medicare plan choices - and if those choices meet current medical needs - once they enroll. Just as you periodically rebalance your client's investment portfolio, you can offer valuable guidance to your clients by helping them understand, manage and prepare for the healthcare costs they will face in retirement. Engaging your client in the Medicare plan process adds another level to the strong foundation of your practice. Aging in to Medicare and preparing to retire, and those who have worked past age 65 and are transitioning out of private employer benefits to full Medicare coverage. Losing retiree healthcare benefits provided by a former employer. Experiencing reduced healthcare coverage or increased out-of-pocket expenses as their health and medical needs change. Needing an assessment of their current insurance plans and costs to ensure they are protecting their assets with the most cost-effective healthcare coverage. Managing a financial crisis because they are no longer able to work due to disability or chronic illness. The average age for those who receive Social Security disability benefits and become eligible for Medicare is 53.